British brand MINI has a habit of cranking out special editions of their models in order to keep customers happy—especially those who look for a little exclusivity. This time around, it’s the 3 Door model that gets a limited-run variant called the Ice Blue Edition, which is presented at the Toronto Auto Show. Based on the Cooper S, it’s equipped with a turbocharged, 2.0-litre four-cylinder that develops 189 horsepower and 207 pound-feet of torque, connected to a six-speed automatic transmission that also includes wheel-mounted paddle shifters. According to the manufacturer, the Cooper S can accelerate in 0 to 100 km/h in 6.8 seconds. 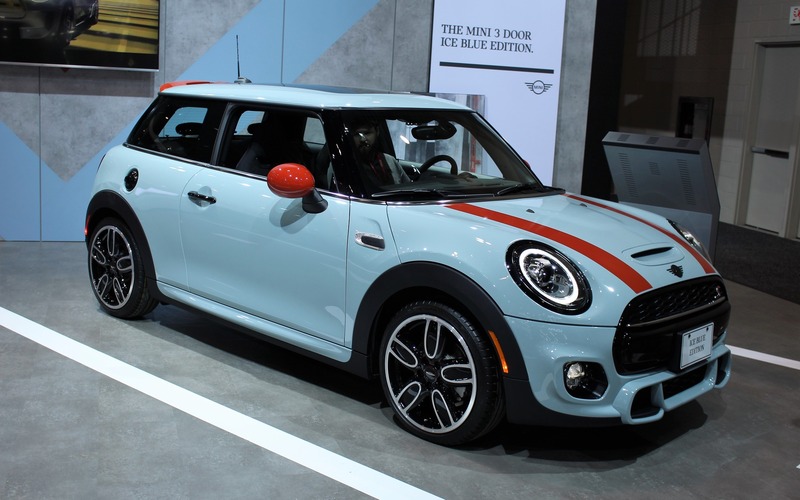 The 2019 MINI Cooper S 3 Door Ice Blue Edition also gets an exclusive paint colour highlighted by Solaris Orange roof spoiler, bonnet stripes and mirror caps. Eighteen-inch JCW Cup alloy wheels and piano black trim are also thrown in for good measure. Standard features include park sonar, LED headlights and taillights, a JCW body kit, an infotainment system with 8.8-inch touchscreen, Apple CarPlay integration and wireless phone charging. The Cooper S 3 Door Ice Blue Edition retails for $38,990 before freight and delivery charges, and only 30 units will be available across Canada this year. If this exclusive variant of the MINI hatchback interests us, we should head down to our local dealership sooner than later.